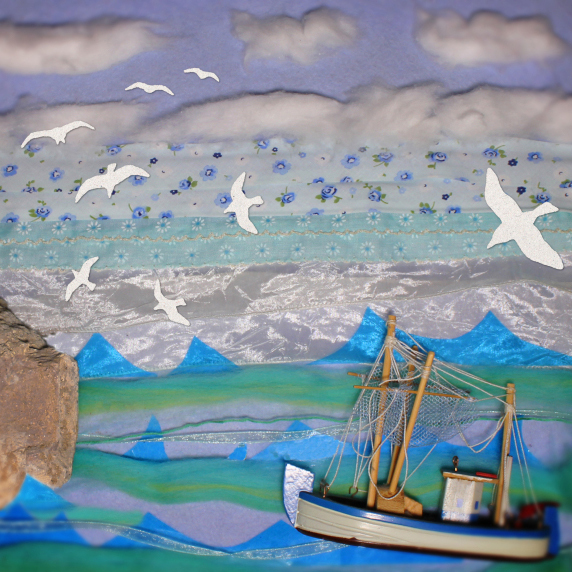 Ariel on the Cliff is a celebration of all things breezy, this gentle, warm show for family audiences mixes original acoustic music with sensory storytelling, puppetry, movement interaction and big deep breaths. Ariel is a daydreamer. From her perch way up at the top of the cliff, she introduces us to all her airborne friends (like Buzz the Bee and Squawk the Seagull), creating soundtracks for them using lots of different wind instruments. But Ariel’s down-to-earth friend Pebble, who lives way down on the beach below, spots something dark and brooding on the horizon. Can the children help Ariel’s friends get home safely before the storm arrives? Cloud Cuckoo Land put children right at the heart of the story in this brand new participatory performance, starring Lori Hopkins (The Explorer, We're Going On A Bear Hunt) and Beth Hopkins (Cloud Cuckoo Land's Ding Dong and What Big Eyes).